I have been using Flash with ActionScript 3.0 for about 3 years. I love the high level of interactivity and “wow” factor that is so easily achieved with flash programming. These are some of my completed projects. This unique drum sequencer uses a visual representation of a drum loop to create fun and surprising beats. It utilizes sound transformations (volume, panning) and has an intricate yet intuitive user interface. Simply drag the red platforms up and down to control the timing of each drum track. The volume, panning, play, pause and tempo controls provide visual feedback by modifying the speed and appearance of the falling balls. External sound files can be loaded in the offline version of this project. There is also an audio visualizer which has two modes (toggle by clicking the top panel). The project, along with more detailed instructions can be viewed by clicking on the image to the left. Use your mouse or keyboard arrows to control the cursor. 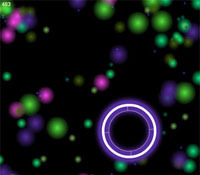 Roll over colored dots which are smaller than the cursor to get grow larger and accumulate points. See how big you can grow the cursor! This was a dynamic visual effects coding experiment. The cursor emits a colored glow and an audio clip when it rolls over a dot. The color of the glow corresponds to the color of the dot. This was an online multiplayer virtual pet prototype I created for Gamesville.com (Lycos Inc). 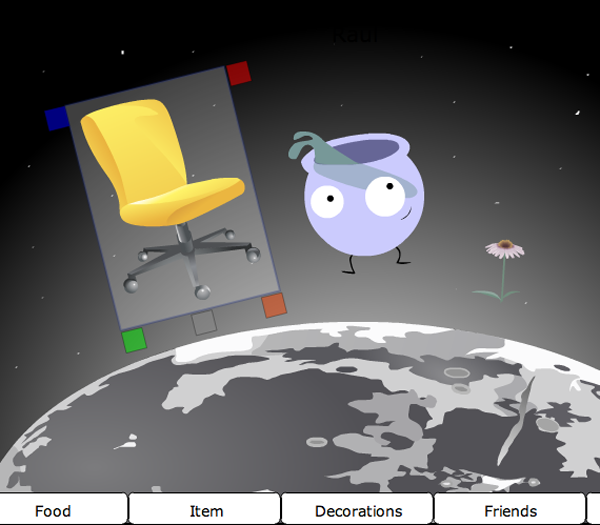 Members of Gamesville.com are able to raise a virtual pet from a baby to an adult. The different pets are based on the signs of the zodiac. Members can buy food for their pet as well as new backgrounds and accessories to decorate their habitat using points they’ve earned from playing other games on the website. Users are also able to buy “gifts” for their friends’ pets using real money. This project involved the use of ActionScript working with server-side php to store and receive (as xml) all the relevant data for each user’s pet shop. This included current health, happiness, and mood of the pet as well as the habitat decorations and orientations. 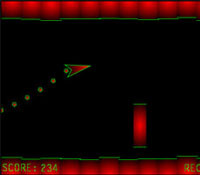 This object of this game is to guide your ship through the course without hitting any obstacles or walls. The ship climbs as you hold down the mouse and sinks when you release it. This was my first leap into ActionScript coding. It is written in ActionScript 3.0 using object-oriented programming principles. 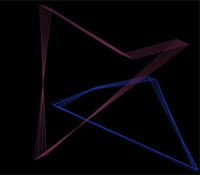 My inspiration for this animation was the Windows “Mystify” screensaver.